Facebook CEO Mark Zuckerberg has issued a formal response to the reports that Cambridge Analytica misused customer data collected from Facebook, and the platform is making some changes. The days of silence from Facebook’s top executives after the company banned the political advisory service Cambridge Analytica from its platform were a mistake, according to Sheryl Sandberg. In a brief interview on CNBC, Sandberg said that the decision for her and company chief executive and founder Mark Zuckerberg to wait before speaking publicly about the evolving crisis was a mistake. It was the only significant new word from the top level of leadership at Facebook following the full-court press made by Mark Zuckerberg yesterday. The firestorm that erupted over Facebook’s decision to ban Cambridge Analytica — and the ensuing revelations that the user data of 50 million Facebook users were accessed by the political consulting and marketing firm without those users’ permission — has slashed Facebook stock and brought calls for regulation for social media companies. Even as $60 billion of shareholder value disappeared, Zuckerberg and Sandberg remained quiet. The other piece of information from Sandberg’s CNBC interview was her admission that the company is “open” to government regulation. But even that formulation suggests what is a basic misunderstanding at best and cynical contempt at worst for the role of government in the process of protecting Facebook’s users. Ultimately, it doesn’t matter whether Facebook is open to regulation or not. If the government and U.S. citizens want more controls, the regulations will come. And it looks like Facebook’s proposed solution will end up costing the company a pretty penny as well, as it brings in forensic auditors to track who else might have abused the data harvesting permissions that the company had put in place in 2007 and only sunset in 2015. Collecting user data before 2015 was actually something the company encouraged, under the banner of increased utility for Facebook users — so that calendars could bring in information about the birthdays of friends, for instance. Indeed, the Obama campaign used Facebook data from friends in much the same way as Cambridge Analytica, albeit with a far greater degree of transparency. The issue is that users don’t know where their data went in the years before Facebook shut the door on collection of data from a users’ network of friends in 2015. That’s what Facebook — and the government — is trying to find out. Yes. We’re going to tell anyone whose data may have been shared. Presumably the same will be true for anyone found to be affected by other unsavory apps. What about the public response? What does he think about #deletefacebook? I don’t think we’ve seen a meaningful number of people act on that, but, you know, it’s not good. In 2017 with the special election in Alabama, we deployed some new A.I. tools to identify fake accounts and false news, and we found a significant number of Macedonian accounts that were trying to spread false news, and were able to eliminate those. It’s the first time he’s talked about it, apparently. Hopefully they’ll prove as effective during larger campaigns. If it is ever the case that I am the most informed person at Facebook in the best position to testify, I will happily do that. If I had to guess, I’d say that hour fast approaches. Telling people if their data was misued by the app associated with Cambridge Analytica, or apps Facebook bans for misue in the future. 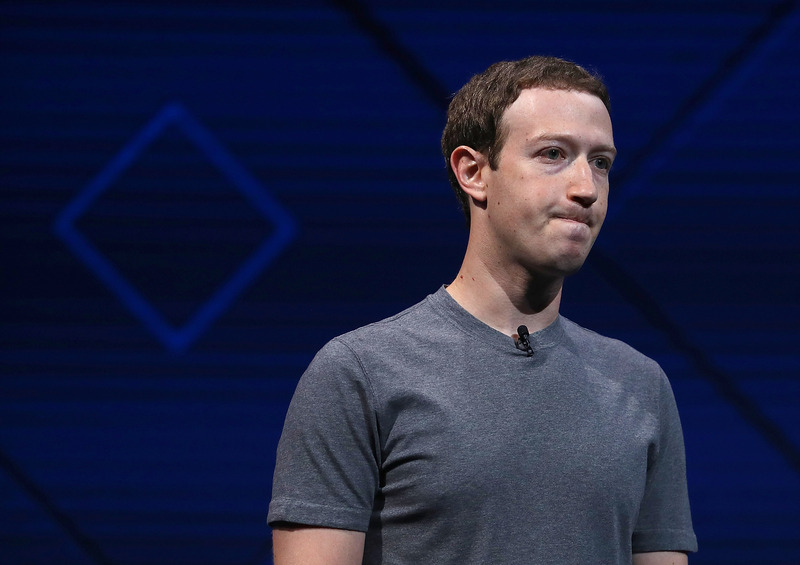 Facebook was hit with one of its biggest scandals ever when multiple outlets reported that a researcher’s app pulled personal information about 270,000 users and 50 million of their friends, then passed that data to Cambridge Analytica. The political strategy firm then used that data to power messaging, targeting, and more for Donald Trump’s presidential campaign and the Brexit Leave movement. The proposed solutions should help users take better control of their data while putting sensible friction and documentation in place for app developers that want people’s personal info or content. The audits of developers who pulled lots of friends’ data before the 2014 change that restricted that ability could root out some more bad actors. But overall, the plan doesn’t address the fact that tons of developers pulled and may still be in possession of illicit Facebook data. Now off of Facebook’s servers, it has little control over it. Finding and deleting every copy of these data sets may be impossible. That could lead to future data scandals that may make people take Zuckerberg up on his assertion that if Facebook can’t keep people’s data safe, they shouldn’t use it.